When someone is sick — either a child or an adult — taking their temperature can be invasive and irritating. It often disturbs their rest at a time when they most need it. TempTraq‘s original 24-hour, wearable Bluetooth temperature monitor took away the hassle of individual temperature readings for caregivers and the bother for patients. 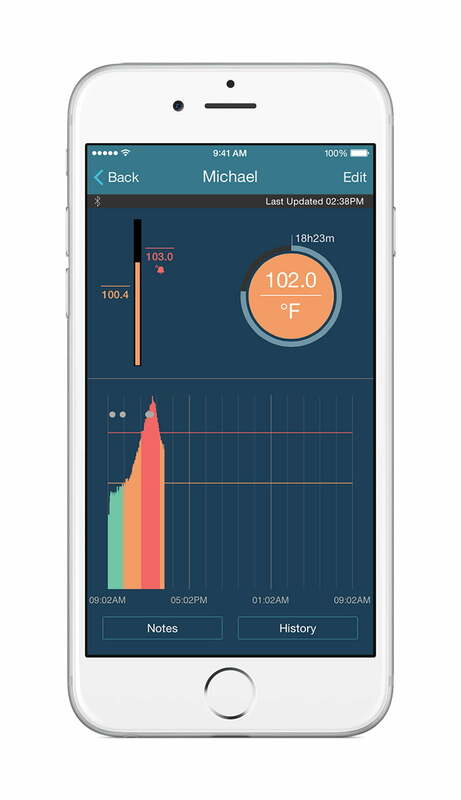 TempTraq continuously senses, records, and sends temperature data to mobile devices so caregivers can keep track without disturbing the sick person. Now, TempTraq is introducing two longer-lasting versions and new remote-monitoring capability. TempTraq is an FDA-cleared, patch-like device that is applied to the underarm area. 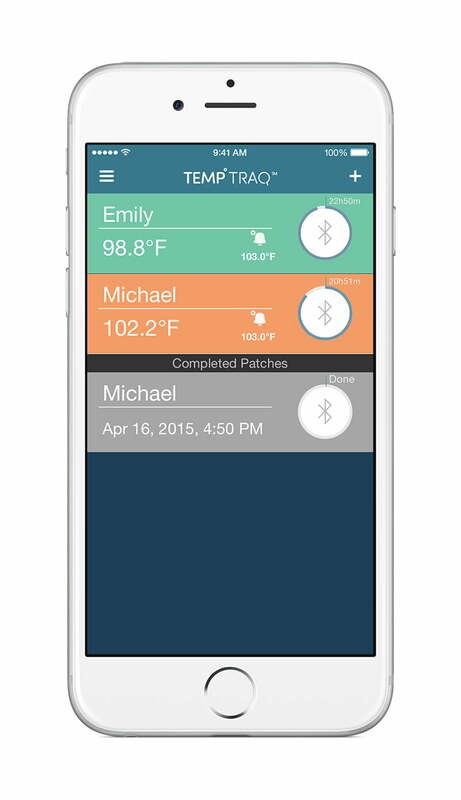 The patch measures and displays temperature data on the TempTraq app running on a Bluetooth-paired iOS or Android mobile device. The app displays the latest time plus historical data so fluctuations and patterns can be seen easily. In addition to continuous data transmissions, if temperatures reach or exceed a user-set level, the app sends an alert to caregivers. TempTraq is most often used with babies and toddlers, but it’s appropriate for all ages. 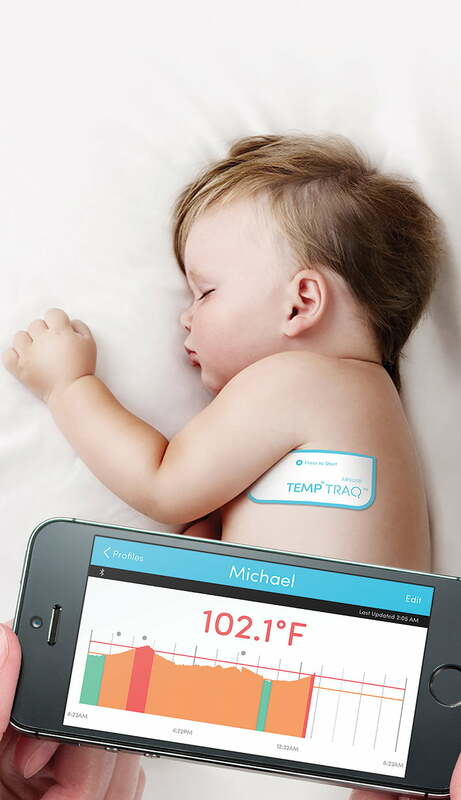 The TempTraq app can monitor multiple patches simultaneously, which makes it even more useful for families or groups where more than one person is sick at the same time. The 24-hour TempTraq patch, available since 2015, costs $20. Two new models have been announced. A 48-hour patch for use in homes will cost $25. The company also announced a 72-hour version for clinical settings. The 48-hour and 72-hour patches will be available in the first quarter of 2017. TempTraq’s remote-monitoring capability has been ramped up. Caregivers can now track body temperatures of a family member or patient from anywhere in the world with an internet connection. TempTraq Connect is a secure, Health Insurance Portability and Accountability Act-compliant service supported by the Google Cloud Platform. When a parent or any other authorized person is within Bluetooth range (about 40 feet) of the person wearing the patch, temperatures are continuously sent to the mobile device. Beyond Bluetooth range, authorized people can access the data via the cloud, and then view the same data on the app as if they were in the same room as the patient.